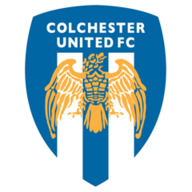 Match ends, Southend United 2, Colchester United 0. Second Half ends, Southend United 2, Colchester United 0. Attempt missed. Simon Cox (Southend United) right footed shot from very close range is too high. Penalty missed! Still Southend United 2, Colchester United 0. Simon Cox (Southend United) hits the left post with a right footed shot. Penalty Southend United. Stephen McLaughlin draws a foul in the penalty area. Penalty conceded by Frankie Kent (Colchester United) after a foul in the penalty area. Corner, Southend United. Conceded by Frankie Kent. Attempt blocked. Amadou Ba (Southend United) right footed shot from outside the box is blocked. Delay in match Ryan Leonard (Southend United) because of an injury. Substitution, Colchester United. Brandon Hanlan replaces Craig Slater. Substitution, Southend United. Simon Cox replaces Nile Ranger. Corner, Southend United. Conceded by Craig Slater. Substitution, Colchester United. Mikael Mandron replaces Tommy O'Sullivan. Substitution, Southend United. Amadou Ba replaces Theo Robinson. Substitution, Southend United. Anton Ferdinand replaces Michael Turner. Attempt saved. John White (Southend United) right footed shot from very close range is saved in the centre of the goal. Corner, Southend United. Conceded by Tom Eastman. Foul by Tommy O'Sullivan (Colchester United). Substitution, Colchester United. Sammie Szmodics replaces Cameron James. Foul by Michael Timlin (Southend United). Attempt blocked. Nile Ranger (Southend United) with an attempt from very close range is blocked. Goal! Southend United 2, Colchester United 0. Theo Robinson (Southend United) left footed shot from the left side of the six yard box to the bottom right corner. Second Half begins Southend United 1, Colchester United 0. First Half ends, Southend United 1, Colchester United 0. Corner, Colchester United. Conceded by Elvis Bwomono. Attempt saved. Theo Robinson (Southend United) right footed shot from outside the box is saved in the centre of the goal. Corner, Southend United. Conceded by Rene Gilmartin. Attempt saved. Stephen McLaughlin (Southend United) right footed shot from outside the box is saved in the top right corner. Attempt blocked. Josh Wright (Southend United) right footed shot from outside the box is blocked. Goal! Southend United 1, Colchester United 0. Josh Wright (Southend United) right footed shot from the centre of the box to the bottom right corner. Attempt missed. Ryan Leonard (Southend United) right footed shot from the left side of the six yard box is close, but misses to the left. Attempt saved. Michael Timlin (Southend United) left footed shot from the left side of the box is saved in the centre of the goal. Corner, Colchester United. Conceded by Michael Turner. Attempt saved. 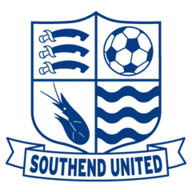 Nile Ranger (Southend United) right footed shot from the left side of the six yard box is saved in the centre of the goal. Hand ball by Josh Wright (Southend United). Attempt missed. Josh Wright (Southend United) right footed shot from the centre of the box is too high. Corner, Southend United. Conceded by Tom Lapslie. Attempt missed. Jermaine McGlashan (Southend United) right footed shot from the centre of the box is just a bit too high. Attempt missed. Stephen McLaughlin (Southend United) left footed shot from outside the box is close, but misses to the right from a direct free kick. Theo Robinson (Southend United) wins a free kick in the defensive half. Delay in match Tommy O'Sullivan (Colchester United) because of an injury. Attempt missed. Stephen McLaughlin (Southend United) right footed shot from the left side of the box is close, but misses to the left. Delay in match Jermaine McGlashan (Southend United) because of an injury. Corner, Southend United. Conceded by Sanmi Odelusi.